Conductor: Copper, Gold plated. Connector: F Female to 2 in 1 TS9/CRC9 Male. 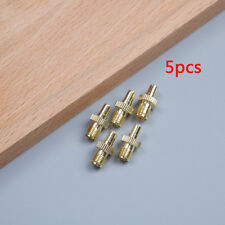 Material: Copper, Nickel plated. Color: Silver. Due to the difference between different monitors, the picture may not reflect the actual color of the item. 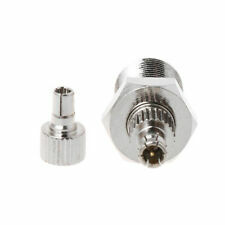 Convert To (Adapter End) TS9 Plug, male Pin. Interface types are included in RF adapter ,such as SMA, TNC, N and BNC,which are available in male, female, plug, jack, receptacle gender, in 50 Ohm &75 Ohm impedance and in standard polarity or reverse polarity. Connector A: TS9 Male. 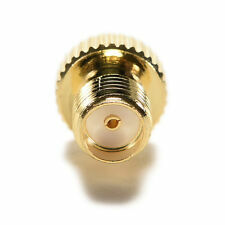 For Cable: RG316 RG174 LMR100. 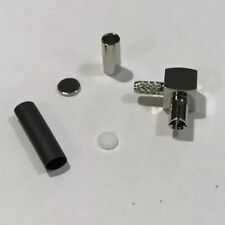 14mm 18mm Male Female Glass Adapter Joint Slide Bowl Extension various size UE. Hood Release Latch Handle Repair Kit Aluminum Black For Honda Civic 1996-2011 US. For RF coaxial cable: RG174 RG316 LMR100. Type:TS9 Male Connector. 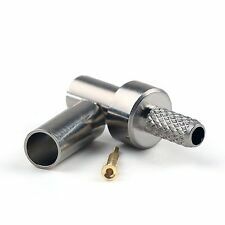 14mm 18mm Male Female Glass Adapter Joint Slide Bowl Extension various size UE. Connector outer conductor: Male. Connector center conductor: Plug. High gain output omni-directional antenna. Removable - transfer from one vehicle to anothe. 1 Antenna with SMA connector. Simple installation,no software required, with long cable for 3M. It will help to boost signal and increase data transfer speed of 4G.